Sakyong Mipham Rinpoche is the head of the Shambhala Buddhist lineage, a spiritual and family lineage that descends through his family, the Mukpo clan. This tradition emphasizes the basic goodness of all beings and teaches the art of courageous warriorship based on wisdom and compassion. Rinpoche is the son and heir of the Vidyadhara, the Venerable Chögyam Trungpa Rinpoche. His background embraces both Eastern and Western cultures. Born in 1962 in Bodhagaya, India, he received spiritual training from his father and other distinguished lamas and received further education and training in Europe and North America. He is married to Khandro Tseyang Palmo, daughter of His Eminence Namkha Drimed Rabjam Rinpoche, head of the Ripa lineage. The Sakyong has written two books, the national bestseller Turning the Mind into An Ally, and the prize—winning Ruling Your World. He is a poet and an artist. He has run marathons to raise money for Tibet through the Konchok Foundation. He travels extensively, teaching throughout the world. 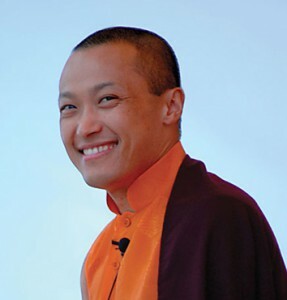 Visit mipham.com for more information about Sakyong Mipham Rinpoche. And check out the offical Sakyong YouTube Channel for video of teachings and interviews. Chögyam Trungpa Rinpoche was one of the most dynamic teachers of Buddhism in the 20th Century. He was a pioneer in bringing the Buddhist teachings of Tibet to the West and is credited with introducing many Buddhist concepts into the English language and psyche in a fresh and new way. Chögyam Trungpa Rinpoche, the former supreme abbot of Surmang Monasteries in Tibet, was known as the foremost meditation master and teacher of Tibetan Buddhism in the West. In the early 1970s, he founded Naropa University, the first Buddhist-inspired university in North America, along with over 100 meditation centers worldwide. He authored two dozen books on meditation, poetry, art, and the Shambhala path of warriorship. 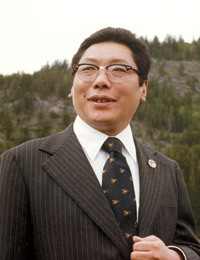 Read Chögyam Trungpa Rinpoche’s biography on the Shambhala International website. The Acharyas of Shambhala are senior teachers appointed by Sakyong Mipham Rinpoche. As the Sakyong’s representatives, the acharyas, who are empowered to offer refuge and bodhisattva vows, bring the continuity of the lineage into the living teaching environment of local Shambhala centers. There are many Shastris in the Shambhala world to teach on behalf of the Shambhala Buddhist vision as well. Shambhala Troy Meditation Group has quite a few qualified Meditation Instructors, Shambhala Training Assistant Directors, and Shambhala Guides who can help new comers for their meditation practice.